The global climate is changing, and will continue to change, in ways that affect the planning and day to day operations of businesses. In some parts of the world, like Florida and Switzerland, these shifts in climate are already starting to have an effect on the environment and wildlife. To combat this change in our climate, businesses around the world are taking steps to invest in sustainable materials used in everyday activities. Any business involved in transporting or shipping goods will be using a pallet of some type. Wooden pallets have long been the traditional choice of pallet, but as concerns about the environment continue to rise why should your business start or continue to invest in reusable packaging, such as wooden pallets? How Are Wooden Pallets Reusable and Sustainable? Wood is naturally flexible and easy to work with and can last much longer than plastic when used correctly. They are the most sustainable and durable material used to create pallets, as they can be put together simply and efficiently. If any damage occurs, it can easily be repaired or replaced. Additionally, the construction of wooden pallets is easier and faster than plastic, saving your business time, energy and, ultimately, money. Making wooden pallets is also much cheaper, as expensive moulding processes are not required. 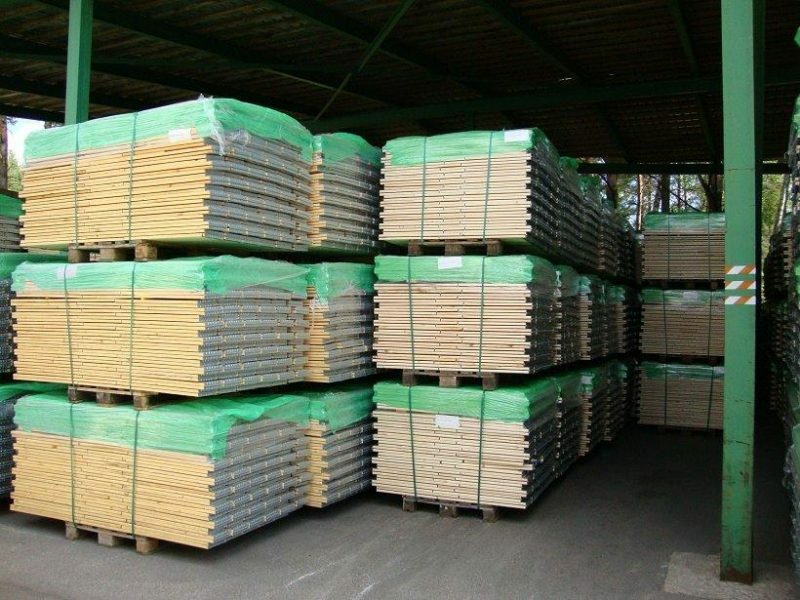 When it comes to shipping performance, wood is also superior, as it is easier to manoeuvre and handle because it has a surface with some friction, compared with the sometimes slippery surface of plastic. Wooden pallets represent the sensible and conscientious choice when it comes to buying or constructing pallets. As a natural and renewable resource that removes carbon from the atmosphere, wood cannot be bettered. Why Is It Important To Invest Now? One of the few constants in this world is change, and change is quickly happening within the logistics industry. One of the key factors that both consumers and regulatory agencies across the globe will be focused on over the next decade will be reducing our impact on climate change and the environment. By investing now, businesses can seek to gain more advantageous conditions in the long-term. Savvy consumers are no longer just looking at what you produce but how you are producing it. These changes in demand and consumer behaviours can have substantial impact on businesses that fail to invest and make the change now. It is not good enough to talk about change any longer. What Other Ways Will Switching Impact My Business? Reusable packaging can be extremely cost effective and much cheaper than other traditional packaging options. With less inventory to buy and packaging to store, your business can operate much more efficiently saving you time and money. Reusable packaging options, such a wooden pallets, also ensure that less packaging gets wasted or winds up in landfills. Recent studies have indicated that by using recyclable packaging you can reduce your costs by more than 50%. Of course, reduced costs means your business can be more competitively priced. This can be a very easy way to endearing yourself to consumers and other businesses.